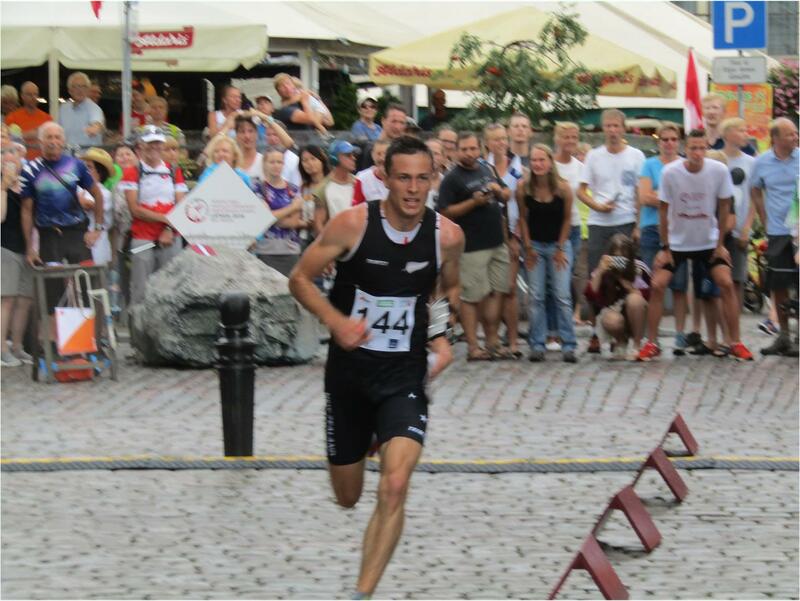 On a wet afternoon in Riga Old Town, Tim Robertson has produced a stunning performance to win New Zealand’s first ever medal at a World Orienteering Championships. Leading at every split time, and by 0.7s at the final pre-warning Tim was edged out of the gold medal by Switzerland’s Daniel Hubmann by a mere 1.1s. 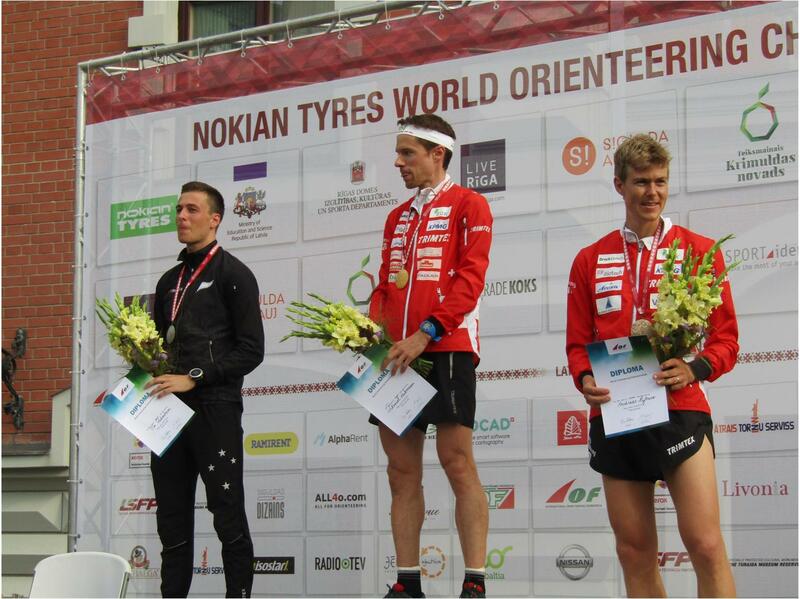 The quality of the duel between these two was such that the gap to Andreas Kyburz in 3rd was another 19s. 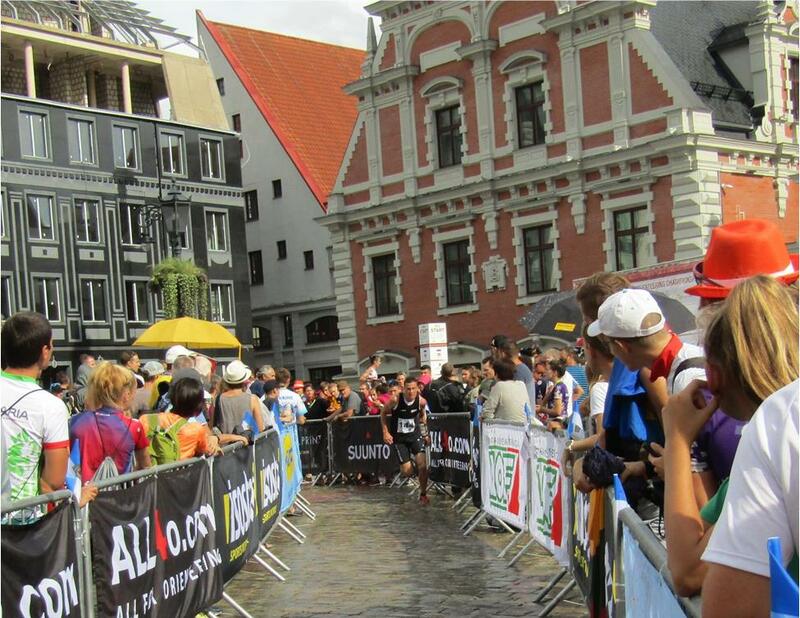 The intermittent heavy, thundery downpours, making sharp turns on the cobbles a treacherous endeavour, and a highly technical first part tot he course, were just the conditions that suited Tim, and the small Kiwi contingent went near berserk as he ran into the finish, almost diving over the line in the effort to take gold. 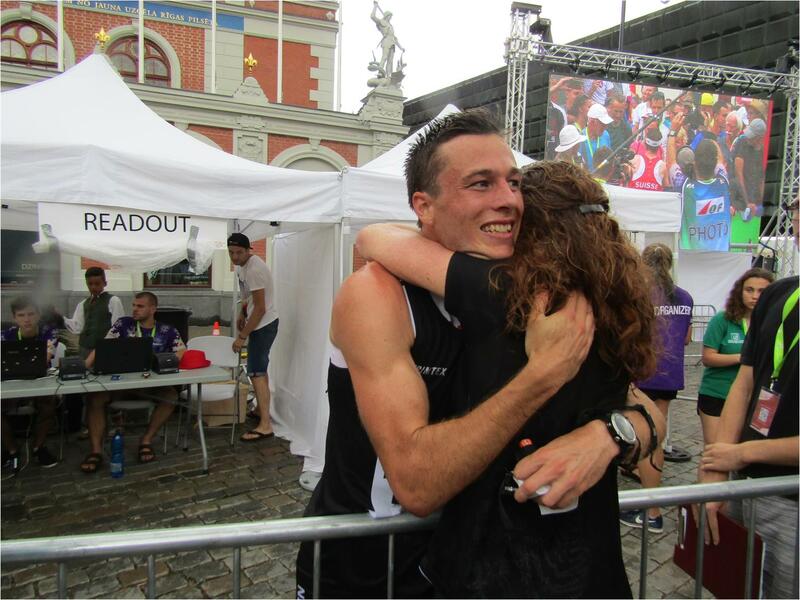 Tim’s previous best result in a WOC sprint was 13th in Stromstad, Sweden in 2016, with a top 20 placing also in Scotland in 2015. Earlier in the afternoon, before the rain set in, the women’s final was run in hot, humid conditions with both Laura Robertson and Imogene Scott having qualified for the final. 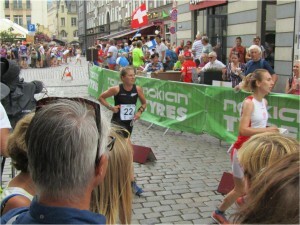 Laura, starting in mid-field, finished in a highly respectable 23rd place with the big three of Maja Alm, Tove Alexandersson and Judith Wyder filling the top three places. This was also Laura’s best sprint finish at WOC. 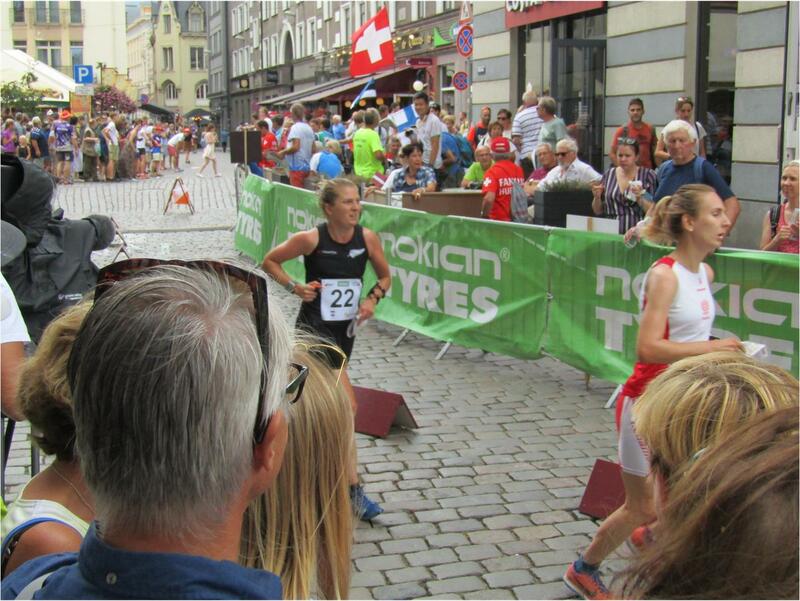 Maja, winning her 4th WOC sprint title, turned a 17s deficit at half-way into a 17 s victory! Imogene, less than 24 hours after arriving in Latvia after the long trip for New Zealand, and severely lacking in sleep, was a commendable 41st. Women’s sprint final: 1. Maja Alm (DEN) 13:43.1, 2. Tove Alexandersson (SWE) 14:00.0, 3. Judith Wyder (SUI) 14:10.3, 4. Elena Roos (SUI) 14:16.4, 5. Lina Strand (SWE) 14:28.2, 6. Karolin Ohlsson (SWE) 14:32.3, 23. Laura Robertson 15:40.1, 41. Imogene Scott 17:21.0. In the morning qualification heats Tim actually won Men’s Heat A, while Cameron de L’Isle and Toby Scott missed out on qualification for the final by 20-40s. 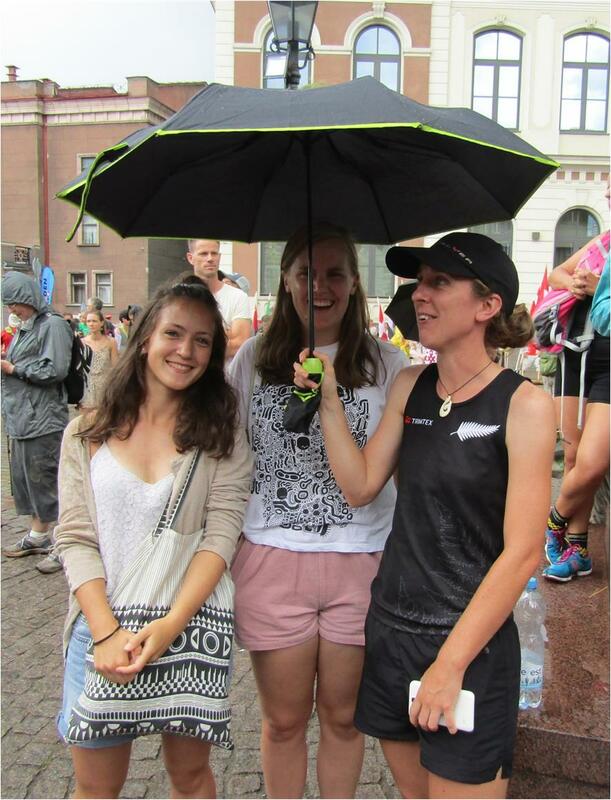 In the women’s heats, where NZL had only 2 runners, although Laura qualified comfortably, just as she did in Scotland in 2015 Imogene squeaked in by 2 s.
With the medal tally finally opened, tomorrow we are back in Riga for the Sprint Relay. Laura will lead off before handing over to Tim, a combination which actually had NZL in the lead at last year’s World Games. Cameron will take over from Tim on leg 3, before handing over to Lizzie Ingham for the anchor leg. Since the inception of the sprint relay in Italy in 2014 new Zealand has twice made the top 20, finishing 14th in the inaugural event and 12th a year later in Scotland. Buoyed by today hopes are high for a top 10….